With the very competitive prospective job market for recent college graduates in the United States today, many students are looking for any edge that they can get up on their peers. The advantage of graduating from Lehigh University is that only a mere 4% of recent graduates are unemployed after 6 months of their graduation. Lehigh is not only known for their prestigious academic standards and rigorous courses but also the many different opportunities that Lehigh offers students to aid them towards their success beyond their years here at Lehigh. These opportunities differ from the office of academic success helping students land summer internships, research opportunities and exotic study abroad programs. 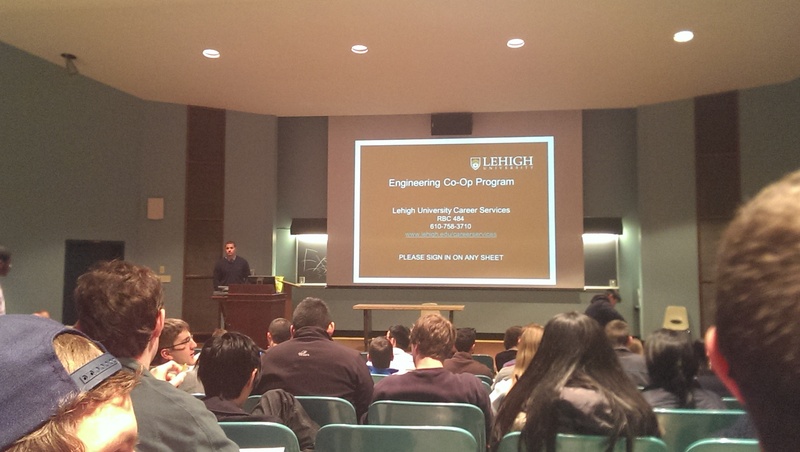 But, one opportunity that is rare among colleges nation-wide is the Lehigh University Engineering Co-op Program. The Cooperative Education (Co-op) is a program for sophomore year students with engineering majors that combines academic study with over eight months of paid, career-related professional experience. Because of the rigorous academic schedule, only students with a GPA of 3.0 or better in the sophomore class are invited to participate. The official letters of invitation are sent home over the Winter Break. If you decide to participate, you enter the next phase of the process. During the spring semester, sophomore year, Co-op candidates interview with companies offering the Co-op experience. Once you have received and accepted a Co-op position, you attend Lehigh during the Summer Sessions to complete the first semester, junior year of course work. The first work rotation begins after summer classes conclude in mid-August and ends in the December/January time frame. The Co-Op experience is completed with the second work rotation that begins the following May and lasts through August. So why participate in a Co-op? You explore career opportunities and goals in a supportive, real-world environment. You work as a professional in your major field, blending theory with application. You clarify your career interests and begin to establish a professional network, increasing your chances of employment after graduation. You finish your degree in four years while completing 7-9 months of full-time work experience. You offset your school costs by earning prevailing wages. You earn six free-elective credits for the experience, three credits per rotation. During the fall work experience, you maintain full-time student status at Lehigh. So not only does a Co-op usually pay more than any internship, but many employers will also hire Co-op students over students that have had internships because of Co-op students usually have a more significant of experience. To sum it all up, I guess I feel extremely lucky and blessed that I have this amazing opportunity at this wonderful institution.